In the not-too-distant future of 2032, the frontier dividing humans and machines has been crossed. 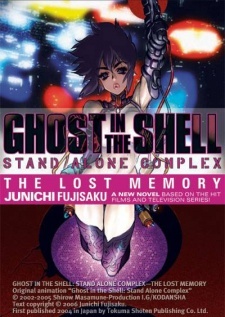 Crimes comitted by flesh-and-metal cyborgs are investigated by Section 9, an elite counter-terrorist squad run by Chief Aramaki and his cyborg assistant, Major Motoko Kusanagi. Section 9 has faced countless adversaries in the real world and in cyberspace, but none like 'The Awakened.' It is believed that this lethal group of terrorists can take over the minds and bodies of almost anyone. Used as tools to commit crimes against the state, the victims are unaware of who or what is controlling them. When Major Kusanagi captures one of the victims, she hacks into his cyberbrain to learn the ringleader's identity-what she discovers leads her on a journey deep into the heart of cyberspace, a journey that shakes her to the core.